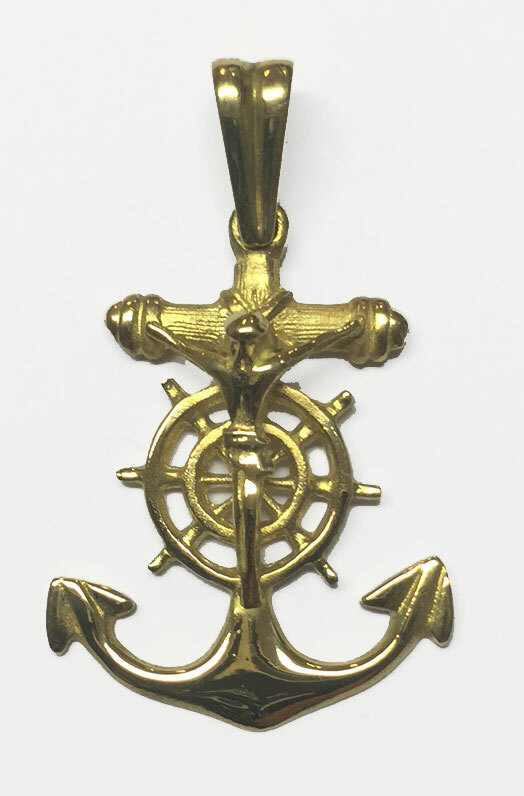 Cross gold law type sailor, ancora, rudder and Christ. Weight 3. 50grs and long 3.50 cmts.